Not like any other Mobile bar, she is a versatile girl if you are looking to add something unique to your wedding day! The Airstream Social, a one-of-a-kind Vintage Airstream Mobile Caravan Bar & Event Space for hire. Our flexible packages give you the choice to use The Airstream Social however you choose. So, say goodbye to the rigid formality of a fixed venue and Say Hey to a whole new level of flexibility and fun! Being totally BYO – you save money on purchasing the alcohol. However, if you’re wedding is catered for, or is at a licensed venue, she can still be hired, and the on site staff can operate out of the Airstream….if you still want that unique look for at your wedding. One thing is guaranteed – she’s one extremely photogenic lady with heaps of style and we can’t wait for you to meet her. The Airstream Social is all about creating memories that last a lifetime. Our professional team will look after all of your needs from the initial enquiry, right through to the big day itself. No two weddings are the same, so we are happy to tailor a package to suit your specific needs. 1) Our “Premium Bar” Package – after the ceremony. The Airstream Social can be prepared as a mobile pop up bar, where our RSA trained staff set about preparing and serving beverages during the reception to you and your guests. Before the wedding day, we work closely with you to decide on the drinks you would like to serve on the day. We are 100% BYO and can also help you source the best prices and deals for your alcohol package. This can work really well as you can SAVE significant money buying the alcohol at discounted prices. As the sun sets, we switch on the magical fairly lights and help you kick on late into the night (note: if you prefer The Airstream to be kitted out as a DJ booth in the evening instead, that can be an option too!! 3) Did you know, we also rock a cool recovery party too! Our packages are designed to to be more affordable, the longer you hire us! So, it makes complete sense to have us hang with you guys overnight! Here’s a quick glimpse on what we can do for you. Just imagine..the morning after the night before!! Heads are little heavy, and the eyes not interested!! But the smell of freshly brewed barista made coffees is what wakes the senses….you crawl out of bed, and auto pilot sends you heading for that Shining Beacon…screaming RECOVERY!! Barista made coffees/ cold-pressed Juices and some cool chill out tunes playing..softly to start with! Our Overnight Package is our 12 hour package (minimum) broken over the two days. 8 hours on the night of the wedding, followed up with 4 hours at the recovery party, the next morning. We can build any package for you, which helps you out of bed the next morning…. Truly a memorable and really fun way to finish off the biggest celebration of your life. We can also help you with styling on the day and can provide you with several different options that create the right mood to work in line with your own ideas, colour scheme and theme for the big day. 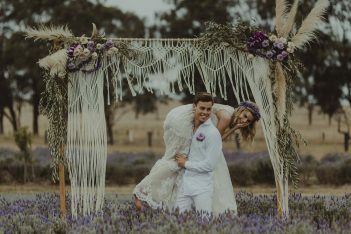 We can also help connect you with other reputable vendors, such as Glamping operators, photo booth businesses and DJ’s to name a just a few if you are looking to build a bigger “festival” type of wedding. We would love to hear from you to start creating your dream package. We welcome your own creative ideas and remember, no idea is too big or small for us to consider. Just give us a call and let’s get this magical and memorable celebration started! Three words that describe you? Fabulous, polished and fun. Best wedding-related tip? Budget for a Recovery Party! Your big day goes so quickly that you really need the precious time the next day with your family and friends to chill out and reminisce about your magical day in a more relaxed setting. Favourite place in the world? The Californian coastal drive from Malibu to Napa Valley (with an Airstream in tow, of course). 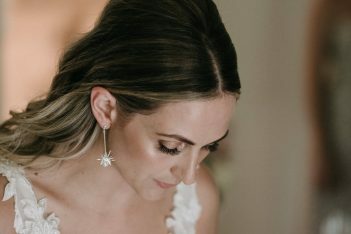 Tip-off on your predicted next wedding trend? As above. We like to be ahead of the game so have created a package for a recovery party - we think it will be the next big thing! #1 dance-floor song request When Love Takes Over by David Guetta feat. Kelly Rowland. Fav thing about your job? Being able to share our shiny vintage beauty with our guests on their special day. Last meal on earth? Crispy duck pancakes with all the trimmings! YUM.